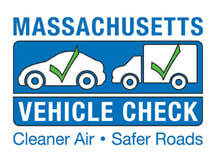 Mass Vehicle Safety and Emissions Inspection. Bring your vehicle with a copy of your current and active registration. ​***Pro Tip*** The middle of the month yields much shorter lines!